Do you need to make the most of your budget for therapy materials? Yep, we all do. You are lucky if you have a few dollars allotted to you by your employer. Many of us buy materials out of pocket, or make our own. I do both, but there is just not enough time to make it all! 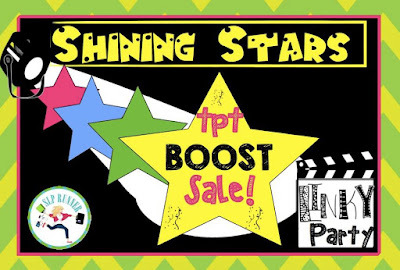 I am linking up with Jen over at SLP Runner for her TpT Shining Stars Linky Party. How to choose? Read about my favorites, then hop over and find more great recommendations from many more of your favorite SLP's! When I create a packet, I think about versatility. Will I be able to use it with most of my students and a variety of targets? When I grab Associations in the Doghouse, I am good to go for the majority of my day! Little ones find the "go-togethers" and match the cards. My older students describe how the two cards are associated. There is a puzzle card (you can see it in the photo) to help students explain how the two cards "fit" together. This really helps my visual learners. Many of my students have a hard time including the many elements of a description, so I included a cue card to help them with category, function and attributes. 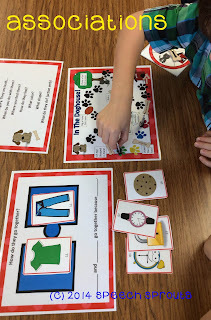 An open-ended board game featuring a naughty little dog is fun for all my kiddos! 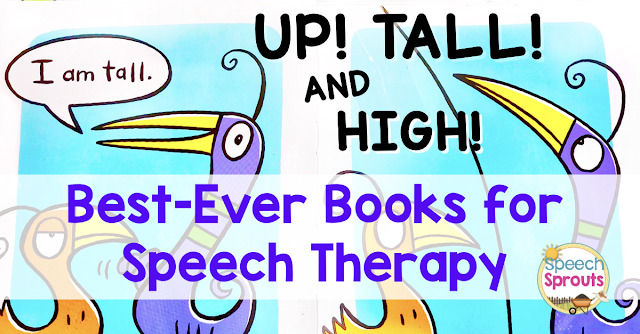 I love activities to go with wonderful children's literature, so I created Giraffes Can't Dance Speech Therapy Book Companion. The adorable book Giraffes Can't Dance is by Andreae Giles (Not included). In the story, a giraffe feels lonely and left out because he is different and can't dance well like the other jungle animals. Then he learns that he really can do a great job, he just had to do things his own way. 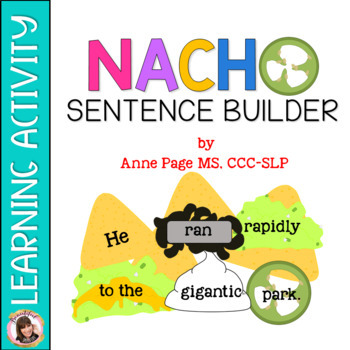 This packet includes activities for a range of ages: from Pre- to 3rd grade. Some of my favorites are "Whose Feet?" 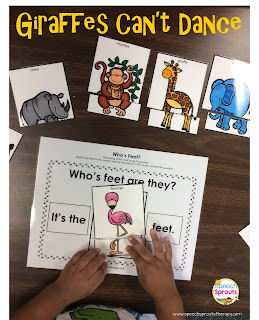 My littles match the animal feet to the bodies and answer "Who?" questions. I have also included plenty of activities for other targets: Rhyming, articulation, wh? and yes/no questions, comprehension and sequencing. My kids love monsters. 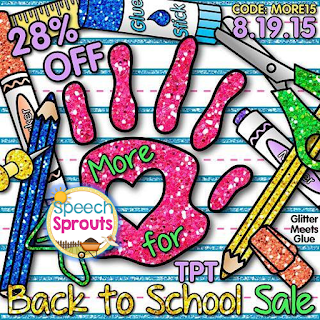 This monstrous bundle focuses on Pre-K to 2nd grade. 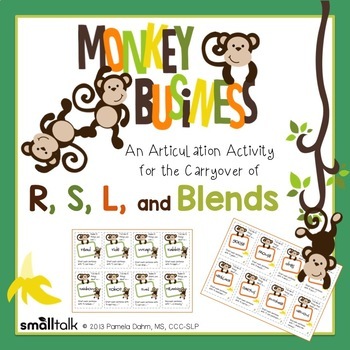 It includes a prepositions game, interactive story, and plenty of articulation and language activities. We love reading The Big Green Monster and follow up with these fun monster activities. We roll play dough bugs, practice prepositions and repeat plenty of "munch, munch, munch! 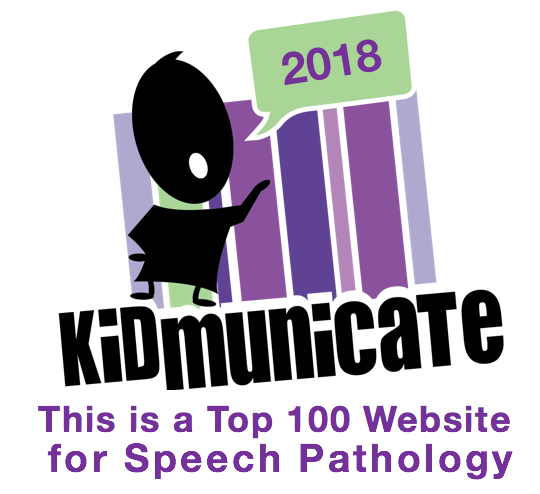 I also want to share with you some more great choices from some of my favorite speech peeps! 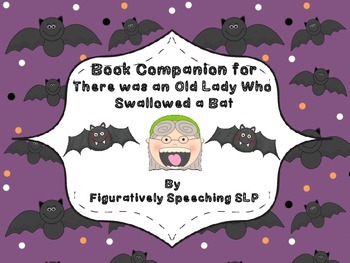 Book Companion for There was an Old Lady Who Swallowed a Bat by Jessica at Figuratively Speeching. What can be more fun than an old lady swallowing bats? Finally, we love Mexican food here in Texas, so this really speaks to me... how cute! It's by Anne of Beautiful Speech Life. Be sure to head over to the linky party at SLP Runner, and don't forget to thank Jen for organizing! You can head over to the Shining Stars Linky Party HERE. Absolutely- Thanks so much for hosting Jen! Awesome Linky. I have never heard of Giraffes Can't Dance, but that companion looks so cute! You should definitely check out the book. It's a great story with a wonderful message for kids who are sad because they think they can;t do as well as others! Lisette I love the Doghouse packet--broad appeal and looks FUN! Thanks Daria, it's one I pull out all year! Your companion packets look amazing! Thank you Mary, we have a lot of fun with it! Amy Beth I really love hearing that! Thanks for sharing. Your Monsters pack looks adorable!! Love the blog design and the doghouse activity is adorable! Your book companions look great. Although it's a little early in the year, I couldn't help but notice your Snowmen at Night companion too! Thanks Karen, Snowmen at Night is one of my big time favorites! Such a great story. My kids love to play the build a snowman game. The associations activity looks great! I'll have to check it out! The Giraffe book companion looks super cute! I know my little guys would love the fun activities you made to go with that story! Thanks Natalie. Have you read the book? It's a great story. 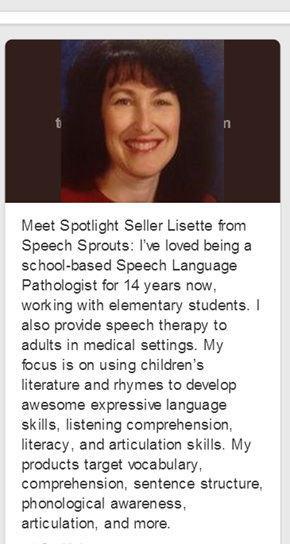 Thanks for the shout out Lisette! I'm going to check out your Monsters Munch right away! It looks great! Your welcome Pam, it looks adorable. Your book companion for Giraffes Can't Dance looks adorable! I just might have to go buy the book now! Erin, my kids love this story, and I do too! 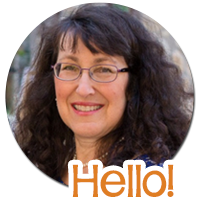 Taking On New SLP Challenges? Watch out for Cows!